Our range of products include crepe patiala salwar kameez, designer wedding churidar salwar suits, exclusive salwar suit and fancy ladies designer suits. We are the Leading Supplier,Trader,Exporter and Wholesaler of Crepe Patiala Salwar Kameez in Chennai,Tamilnadu,India. We are the Leading Supplier,Trader,Exporter and Wholesaler of Designer Salwar 2016 in Chennai,Tamilnadu,Inidia. We are the Leading Supplier,Trader ,Exporter and Wholesaler of Exclusive Shraddha Kapoor Salwar Suit in Chennai,Tamilnadu,India. We are the Leading Supplier,Trader ,Exporter and Wholesaler of Fancy Ladies Designer Suits in Chennai,Tamilnadu,India. 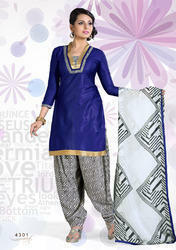 Looking for Wedding Churidar Suits ?